Birks continue to Preliminary Final. West Torrens Birkalla secured a hard-fought 1-0 victory over Adelaide City in the PlayStation 4 National Premier League Elimination Semi Final at Jack Smith Park on Saturday. 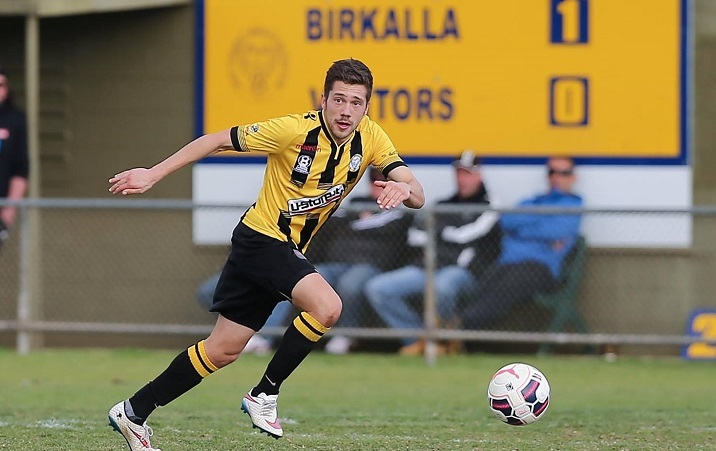 Paul Radice netted the only goal of the game after 16 minutes to send Birkalla through to next weekend’s Preliminary Final. Birkalla flyer Ryan Kitto said a team performance got it over the line. “It was a solid team effort, we worked really hard. We are grateful to get the result, it could have gone either way,” he stated. “After half time, the way the game panned out they got on top. There was no message at the break to sit back, but we had to work harder and dig deeper. In the end we got the win. “It’s a big result, no doubt. But we know we have not achieved anything yet. We need another big week to get ready for the next game. Birks enjoyed the early ascendency and opened the scoring after Taro Kawamura flicked the ball for Kurtis Rowe to drill a low cross, which Radice tapped in from close range. Kitto nearly doubled the advantage shortly after the half hour as he led a counter-attack, but his outside of the foot shot went wide of Ryan Veitch’s goal. City amazingly failed to find an equaliser five minutes before the interval. Fumiya Suzuki hit the crossbar from Joel Allwright’s corner, with Matthew Mullen’s header then cleared off the line. Lewis Farquhar struck the bar as the goalmouth scramble sustained and finally another Mullen attempt was held by Julian Torresan. Bucco stepped up to take a 62nd minute free kick, but his curling effort was well saved by Birkalla captain Torresan. It was as close as the Black and Whites came to finding an equaliser. At the other end Kitto charged at the City defence and forced a good save from Veitch, as Birkalla looked to seal the contest. Kawamura steered a Rowe cross just over the top of Veitch’s goal, as Birkalla saw out the final minutes to advance. View photo’s from the game HERE. 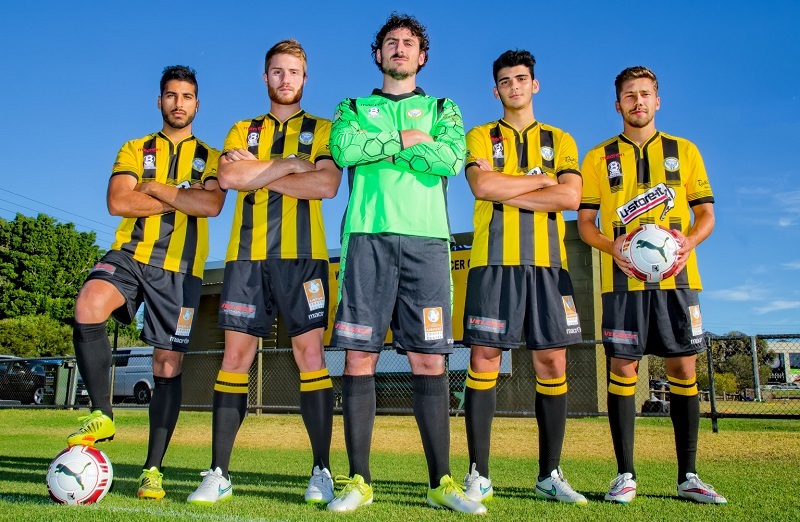 WT Birkalla will now face off against West Adelaide on Saturday the 5th of September, kick off 2.30pm at Adelaide Shores to see who can cement their spot in this years Grand Final against Adelaide Blue Eagles. 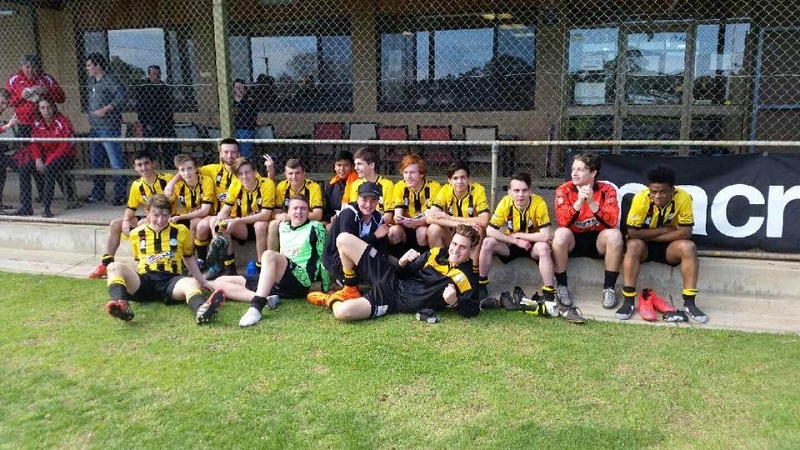 West Torrens Birkalla Under 18’s have also now secured their spot in next Saturday’s Preliminary Final with a fantastic team effort to win against Modbury Jets 2-0. The boys will now play off next week for a spot in this years Grand final. The game will be held at the Adelaide shores. Kick off time will be 9.30 am so let get behind the mighty Birks and all come out to show our support.